Liverpudlian institution Circus Recordings is back following up some great releases in 2017 by the likes of Catz 'N' Dogz, Ki Creighton and Leonardo Gonnelli. 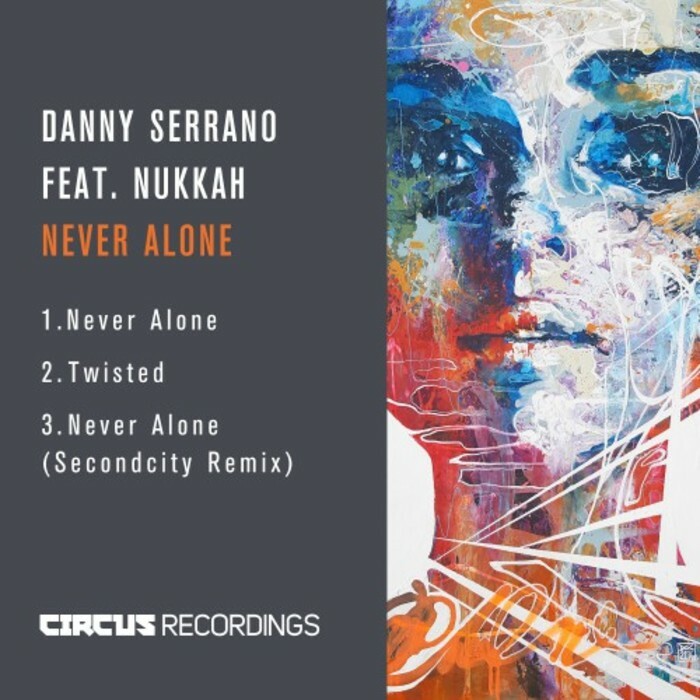 It's now the turn of Danny Serrano from Madrid: a rising star with hot hits on top labels recently such as Relief, Moon Harbour and Knee Deep In Sound. Kicking off with the tough roll and shuffle of "Never Alone" (feat Nukkah) which is just as suited to the label's club namesake itself as it is to Summer mischief on The White Isle. "Twisted" (original mix) is a tad deeper and well funkier - this one has a sense of swing that even original house gangster DJ Sneak could appreciate. Big time bassline in this one! Finally "Never Alone" (feat Nukkah - Secondcity Da Groove remix) differs from the original with its smooth tribal rhythms and sultry type of groove. We wouldn't be surprised to be hearing this one a lot on The Island still in a few months to come.